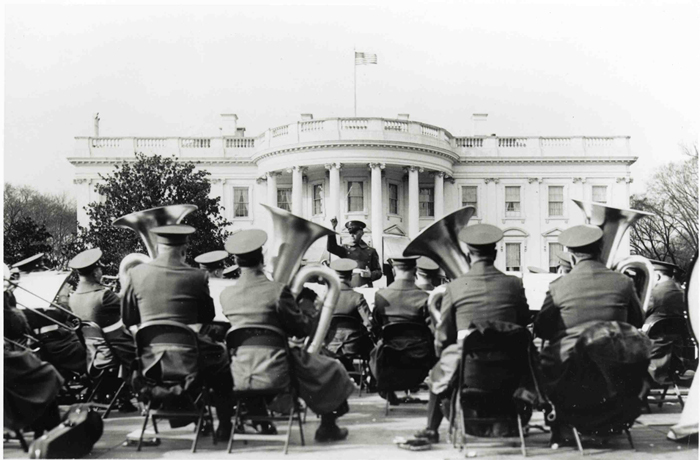 United States Marine Band, “United States Marine Band,” Histories of the National Mall, accessed April 23, 2019, http://mallhistory.org/items/show/144. The United States Marine Band was established by an Act of Congress in 1798 and has been based in Washington, DC, since 1800. They are known as "The President's Own," and played at the first Inauguration in Washington (1801), the first Inaugural Ball (1809), and countless other White House functions. 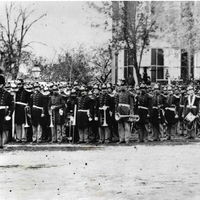 In 1883, led by their director, John Philip Sousa, the band played in front of the Smithsonian Castle for the dedication of the statue of Joseph Henry. United States Marine Band. View original image. The United States Marine Band was established in 1798 by an Act of Congress. The band is known as "The President's Own" because of a longstanding relationship with the office of the Commander-in-Chief. In 1801, at the invitation of President John Adams, the band played at the White House New Year's Day reception. That same year, Thomas Jefferson asked them to play at his inauguration. 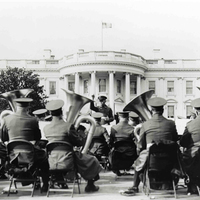 The Marine Band has played at every subsequent presidential inauguration. The first concert the Marine Band held in Washington was in August 1800, when they played on a spot near the present location of the Lincoln Memorial. In 1809, they played for James Madison's Inaugural Ball, and continued to play for social events at the White House for the Madison administration and beyond. They have played for Presidential weddings and funerals. In 1943, they played a special wartime concert for President Franklin Delano Roosevelt and British Prime Minister Winston Churchill, undeterred by a steady rain. 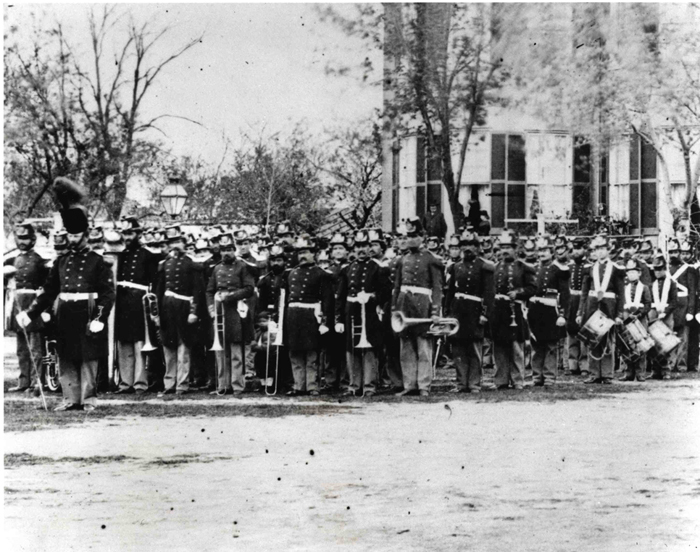 In 1883, the Marine Band played in front of the Smithsonian Castle for the dedication of the statue of Joseph Henry. Their Director, John Philip Sousa, composed a special march for the occasion. Additionally, they have played concerts at the Sylvan Theatre on the Washington Monument grounds, and at other sites on the Mall.